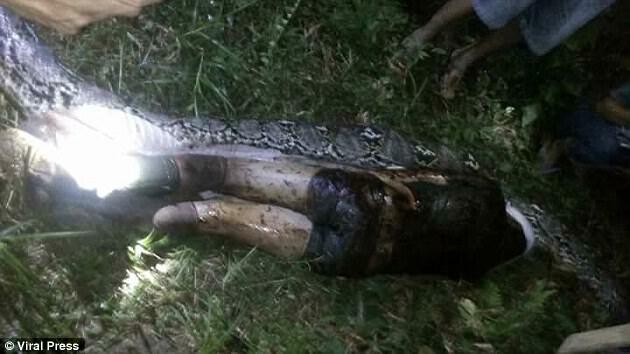 Body of missing man, who vanished while harvesting his crops, found in belly of seven-metre snake. 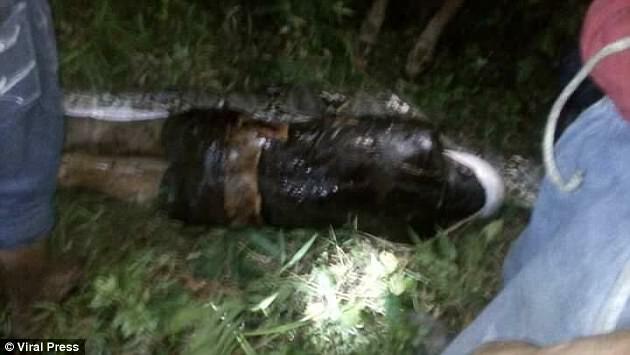 This is the sickening moment a dead man was cut out of a seven-metre long python’s stomach after being swallowed whole. Akbar Salubiro, 25, went missing on Sunday night after setting off to harvest palm oil in a remote village on the island of west Sulawesi, Indonesia. 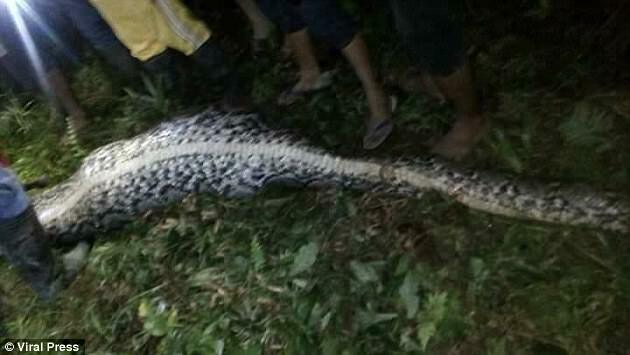 Concerned friends and relatives found a giant python sprawled out in Akbar’s own back garden the next evening – and feared he had been suffocated and swallowed. Akbar’s lifeless body was found inside the serpent after horrified locals sliced open its belly using a 18-inch long hunting knife. 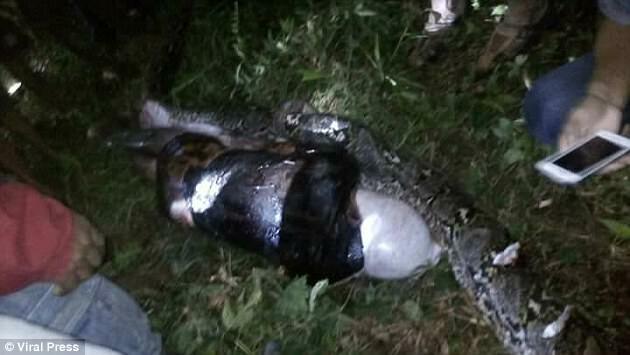 Horrifying footage shows the corpse being slowly removed from the killer reptile as the leathery skin is peeled away. Neighbour Satriawan – who knew Akbar – said: ‘He was found in the location of the garden. Akbar’s wife, Munu, was away at the time and only found out when pictures and video emerged in the news, local media reported. Village secretary Salubiro Junaidi said: ‘People had heard cries from the palm grove the night before Akbar was found in the snake’s stomach. ‘When the snake was captured, the boots Akbar was wearing were clearly visible in the stomach of the snake. Reticulated pythons are boa constrictors that suffocate their victims before swallowing them whole. Is The Moon an Alien Space Craft?